“I am continuing to learn how to more effectively market myself, because all I have to sell is me,” says a voice actor. regarding your voice acting business? Given anonymously, many answers reveal anxiety; an awareness that sitting back in tough times would deal a setback to future business. But there are no quitters here. Some feel no need for change. While most others are keenly aware of what to do. “I think we all need to be concerned, but we also need to be careful not buy into the panic,” a VO cautions. VoiceOverXtra’s online “How’s Business?” survey asked voice actors to compare their current job volume and income with what they experienced at the same time in 2007. The survey’s methodology and statistical findings are detailed in Part 1 of our survey results, Voice Actors Compare Job Volume & Income With A Year Ago. Below, Part 2 goes beyond the numbers, sharing thoughts and ideas about staying afloat and getting ahead. You’ve already heard from two respondents. One hundred seventy follow, in the order in which they were received. OK – many ideas are repetitive. But you can hear individuals in these comments. And we learn from them. - More aggressive marketing, including to international customers. - Keep trying to sign new clients and service return clients. - Increase marketing, increase networking. - More marketing efforts with good existing clients. - Working with possible auditions with "The Voice Casters" studios in Burbank, CA. - Diversifying my skill set, taking a workshop, rebuilding demos, joined a P2P site, try to market more. - Smarter marketing, perseverance, excellent customer service. - Have to switch to full-time marketing my voice acting/producing/writing business, because I was part of Cumulus Radio layoffs in the last month ... after an almost 30-year radio career ... built my own studio at home, and am using many area contacts and contacts from around the country to try to generate ongoing business (recurring) monthly. - More proactive means of exposure. - Stay diversified (studio owner). - Barrel ahead. As more are attracted to this field, the gap between skilled and unskilled will bring a shakeout. - More aggressive marketing, diversifying the type of VO I do, updating my demos and making new ones in new areas of VO for me, improving my web site design and SEO, etc. - Send out more VO packages and seek representation for the coming year. - Just purchased my own equipment. - Hope to ride it out. - Stick with it and continue to push and market and trust in agents. - Promoting myself more in the European market. - No decisive plans, really. - Keep marketing and serving my existing clients, and participating in the online communities. Re-do my commercial demo. - Pray and continue to do a better job than the other guys. - More Internet inquiries. Will take more time to make personal contacts. - More coaching. Increase online marketing. - It is not my full-time source of revenue. But I have been staying as busy as last year, if not slightly more so this year. So I really haven't thought about a plan to change much of anything. - Increase marketing and classes during these downtimes. - More marketing, promoting more heavily the areas of my longest experience, while strengthening other areas. - A rebirth of my own, but the economy has changed, so I am repackaging and going green / digital with most of my business to cut down on the costs of materials. - I have a full-time job that I am holding onto for dear life because work is so sporadic and unreliable in voice-over market. - Offering a higher discount for bulk work. - I'm working with an agent to represent me to clients. I have also diversified to on-camera work to increase opportunities. - I am about to begin a voice branding program with Nancy Wolfson at Braintracks Audio, and will follow her instructions to the letter. I intend to be an independent and full-time voice actor by January 1, 2009. - I am catering to my existing clients, so they can continue to grow their businesses. I am marketing more, picking up smaller jobs and networking more. - Actively pursuing better representation, continued coaching for better quality performance craft. Continued marketing and web development. - Keeping my nose to the grindstone and doing what I'm doing. Eventually, people will need to make new commercials. I'm very lucky to be auditioning and working regularly in this market! - I am going to increase and rethink my marketing strategy. - Keep improving my skills. - Just getting started, so no plans to change anything. - Looking for more production work. Potentially adding a new online casting site to my avenues of audition options. - Increase marketing and communication with existing clients. Stay aggressive! - Coaching more - marketing to new clients - considering a blog and/or writing articles. - More marketing to maintain current level of work. - Networking as much as possible locally, and trying to aggressively market more nationally. - Aggressive marketing - doing everything I can think of. - I intend to continue doing the exact same thing that I've been doing - continue training and perfecting skills, marketing, networking, and discovering new clients. - I plan to continue my education in both the performance and business aspects of the voice acting industry. - Approach it knowing that even in tough times our industry is somewhat recession -proof since businesses will need to continue advertising to keep up. But I do notice a slight decline in some cases. - Just going to keep going forward, regardless. - I am actually going door-to-door to local businesses to generate business in any VO work they may have or want to have. - I will spend more time and money marketing. - I'm holding off updating my equipment and will try to make what I have work for at least another year. - I will continue to find new ways to promote myself (voice). Establish new relationships. - More studio hours, more networking. - Forced to look for part-time work. - Appealing to more specialized and less competitive VO venues, and also audio books. Saving more aggressively so I do not have to work as hard. - More effective marketing and networking. - If anything, I plan to scale down my marketing budget, while concentrating on current clients and recent contacts. - More promotion, more teaching. - I'm just starting, so at this point my only plans are to kick it into gear. - Fundamental things, like self-improvement; constant marketing and maintaining relationships. - Stay the course and remain patient. - More e-mail marketing. More phone calls and personal visits. Updating my demos. - Keep on doing what I'm doing. Active participation in the daily business. - Maintain my versatility, to be able to cater to whatever is selling at the moment. I want to be solvent through every Bull or Bear market. - Being more pro-active; meeting more people. - Maintain client relationships more, since I may not be seeing them as often. - I plan to continue marketing and beef up my exposure. - Web 2.0 ventures and realty. - Business as usual. Just like investing - stay consistent. Also, always looking for new ways and people to market to. - I'm still focusing on the quality of what I have to offer clients. I am dismayed by the jobs I am seeing on the pay-to-play sites. I do not wish to be the voice on the answering machine of some hell-bent-on-self-destruction biker. - Diversification of offerings, and keeping informed in the market segments where I do most of my voice work. - Careful with spending in my household budget. - Consistent and unrelenting promotion. - Trying to learn more and better business practices, especially in self-marketing and promotion. Also involved in training to adapt my talents more to current producer expectations. - Updated demos, re-branding, more marketing. - I'm going to continue moving on strong! - Target marketing and taking care of existing clients. Also continue to explore ways to maximize my visibility. - More personally targeted marketing. - Just continue to train and market. - Marketing - more aggressive & alternate means than used before. - Diversification to additional services. - Marketing more than ever. - More marketing and greater degree of quality control. - More personal marketing online with Google, My Space, Facebook and my new web site. - Do more "spec" work. - Must market more and market smarter! - More aggressive marketing campaigns and face-to-face. - Use Internet to get more clients. - More marketing. Presenting current clients with additional services. - We are aggressively increasing our studio capabilities and marketing efforts. The bulk of our business comes from online sources worldwide, and we offer a product that they must have to survive in business. We offer a quality product without the overhead of storefront studio space. - Got to market better. Get a better web site. - Stay the course. Keep auditioning online, improving my skills and looking for new opportunities. - The only thing I have noticed a slow down in is real estate listing VO's. But going full-time and getting on those auditions quicker has helped me land more jobs. I need to market myself locally. - MORE MARKETING. Be more proactive on voicing instead of the other aspects I work in this industry. Too much coaching, not enough voicing. Must go back to marketing to change it. More workshops, too. - Increase my marketing, and pray. - More web marketing, attending voice workshops to keep my chops current. Nurture existing relationships. And serve the hell out of my customers! - Hunkering down. Still marketing, but being careful where I spend marketing money. - More coaching, classes. If you are the best in the business, the business will be there. - More marketing. More mailings and short e-mails. - Getting new agents in other cities in the U.S. More targeted marketing to potential clients. - Keep persisting. Hopefully, things will turn around! 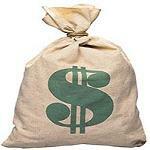 - Widen marketing reach, offer more incentives. - Do the best I can on EVERY job, and offer the BEST customer service available (quickest turnaround possible, be EXTRA polite and co-operative). - Continually reading, practicing and perfecting my craft at my home studio. - I'll be devoting much more time to marketing and training. - Identifying my niche. Training and honing my talent. More aggressive marketing. - More, more, more marketing. - New demo, more self-promotion, targeting marketing in my niche. - Increase marketing, try to develop new products and markets for those products. - The smartest thing any business can do in a down economy is to market. So I'll be reviewing and adjusting marketing plans to keep awareness of me high among my target audiences. - Keep planning on doing what I am doing - considering I am not an actual voice-over actor, but providing a service to help them market. themselves better and create a better visual image of themselves. I think that since I am in the marketing end of things, business should continue to pick up considering that working actors will be looking at new ways of trying to reach more potential clients or to stand out from the pack. - I've raised my rates, which has helped. While I will negotiate on those rates depending on the client's budget, we start out with my rates and work our way down if necessary. Also, I've implemented a net 30-day payment policy, or a 5% interest fee shall be added to the amount. - Probably delay new business plan and new demos and training until after my kids go to school. - Continue to target a diversity of sectors of the industries aligned with voice-over. - Practice harder, market vigorously! - My business is diversified, sometimes more voice-over, sometimes more audio production, plus I publish books. I'm planning to look for more audiobook work and to develop some of my own audio products (haven't done any in years) designed to help people get through this difficult economic period. That will generate another income stream. I don't expect to get rich from any of what I do individually, but with diverse income streams, I plan to stay above water. - Marketing better, double my efforts to find jobs. - Stay consistent. Even if things get worse before they get better, people have to make a living. The best way to increase business is to market and advertise - and that requires voice-over! I've actually been adding equipment to my studio. The more options I give my clients, the better my chances are to stand out! - Increased marketing, more attention to client retention and studio upgrades. - Keep in contact with current clients and continue to seek new ones. - Not sure yet. It's such a part-part-part-part-time thing for me at this stage, and I can't say for sure if it will ever get beyond that. More workshops, training, marketing, volunteer my time when I can, staying positive. - Developing my own products to market. Marketing and networking and improving my skills. - Increase marketing efforts, improve at my craft, get more agents. - Planning on interning at a radio station to increase work relationships and add experience. I am taking extra efforts to thank voice seekers for auditioning me. - Marketing virally, email campaigns, networking with other pros, and trying to make as many contacts as possible. - Signing with an agent after all these years of going it alone. - Learning how to run an office, learning how to record (living under an airport flight path) between airplanes at home. - More aggressive marketing and promotion. - More marketing and self-promotion. - Created new web site. More networking. Have more agencies send me out or send me leads. - Doing more marketing and doing my best to hang on to existing clients. - More marketing, more world-wide jobs, fastest jobs delivery or turnarounds, better services, not only voice jobs, but also multimedia services, such as dubbing (lip sync) consulting, audiopost, radio packages, etc. - Trying to find new clients, doing more marketing, spending more time on the phones with clients and potential clients, eating cat food. - More marketing, join more services, possibly more social networking. - I plan on marketing more. More emails, calls, etc. - I'm doing what I always do - but telling clients about the other services I offer, i.e. "Did you know that I also offer Spanish VO? Translation services?" etc. - More marketing in larger markets, concentrating less locally and go for bigger clients that haven't cut back as much. - I'M SPENDING MORE TIME IN LA. - Still holding on, believing that tomorrow will be a different day, good luck to me. - Maximum marketing to be found when needed. More focus on e-learning and a possible expansion to audiobooks. - I'm marketing more - and unfortunately, bidding less on jobs I do find. - Aggressively advertising our affordable rates, doing specials for past customers, etc. - Keep training and spend less. - I have contacted my existing clients to remind them I'm here, let them know of new projects and remind them that we are all in the same position and that I look forward to weathering this difficult economic time with them and continuing to grow our businesses. - I have alternate businesses I'm pursuing. - Currently I have not been able to train as much as I would like; need to tighten my budget. - Relentless promotion, protecting current client relationships. Whew! Did you catch the one about cat food? To comment on these comments, please write to info@VoiceOverXtra.com. 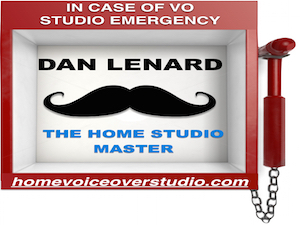 To come: Part 3: Suggestions to others about voice-over success. Learn WHAT’S NEW? On VoiceOverXtra with the Daily Email Feed!